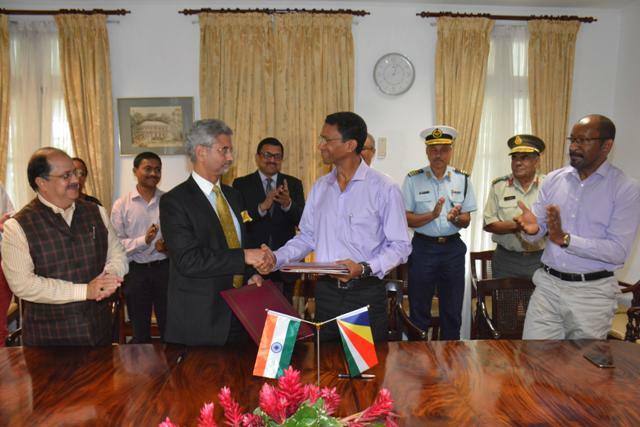 (Seychelles News Agency) - Seychelles and India signed a 20-year agreement on Saturday that will enable the construction of military infrastructures on Assumption Island. The agreement was signed for the second time after revisions were made to the previous one that the Secretary of State in the Foreign Affairs Department, Barry Faure, said was not clear. In the revised agreement, the main aim is to provide a framework for assistance to Seychelles by India. It will help enhance the military capabilities in control and maritime surveillance of the island nation’s Exclusive Economic Zone of 1.37 million square km., protection of the EEZ and the outer islands, and search and rescue in the region for the benefit of air and shipping traffic. The agreement will now go before the Cabinet of Ministers and then the National Assembly for ratification and only then can further transactions take place such as the design and tender for the construction of the base. “A committee has been set up under this agreement that will enable a joint supervision by the two countries to ensure that the provisions under the agreement are executed,” said the Attorney General of Seychelles, Frank Ally. The first agreement was signed in March 2015, during the official visit of the Indian Prime Minister Narendra Modi to the island nation in the western Indian Ocean. 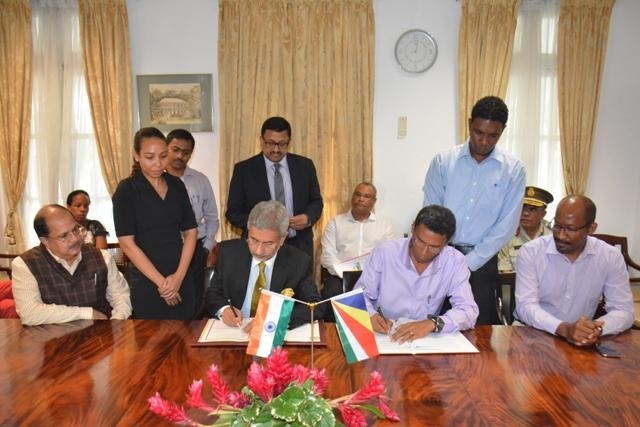 With the signing of the revised agreement by Faure and the Indian Foreign Secretary Subrahmanyam Jaishankar at the Foreign Affairs Headquarters, Seychelles and India agreed to the conditions in the new agreement. “We are satisfied which is why we have continued with the agreement and signed today,” said the Indian Foreign Secretary Subrahmanyam Jaishankar. On his side, Faure said that the agreement will help enhance cooperation between the two countries, especially in military surveillance. Faure added that the agreement is “based on mutual respect and understanding between two very friendly and neighbouring countries interested in the protection of our shared ocean space, in particularly the Exclusive Economic Zone of Seychelles. The project will cover about a quarter of Assumption, a remote island some 1,140 southwest of the Seychelles main island of Mahe. Although the Indian government is financing the project, Seychelles has the power to suspend the functioning of the defence base in certain circumstances such as during epidemic or if India is at war. Apart from Seychelles and India other countries stand to benefit from the project which will provide increased surveillance in the region.